Life is so unpredictable. For a human being, there are just too many things to do at a time. Unknowingly, it’s shortening their lifespan which is around 70 years today. And if you go beyond that to say, it’s 80, and that too is like a bonus. This short span of life has made it so difficult for the individuals to achieve their personal and professional goals. Undoubtedly, the short lifespan is the biggest limitation for people. Even though a person may live for about 80 years, they can only work and earn for a short period, say 15 years. This is spread across 40 – 45 years, which means the rest of the period is just a time for other things when there is not much to earn. With so little to do, there is just not much to leave to your loved ones. But, you have a chance to become immortal! Yes, you do. This sounds impossible right. But what if it’s true and you can earn forever to help yourself and your family? Wouldn’t that be just the best thing you can ever achieve? Well, the technology has made it possible. There is no reason to leave your family without any memory to look up to. 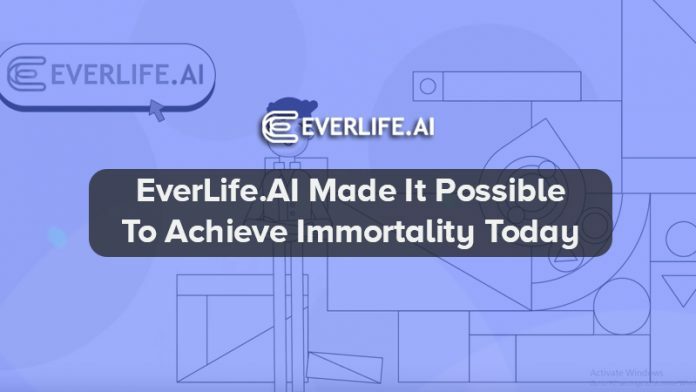 EverLife.AI is the technology that makes it possible for you to earn forever. It harnesses the best functionalities in artificial intelligence, crypto, p2p networking and decentralised smart contracts. All these are the latest appearances in the technology market that have got everyone talking. What problems does the EverLife.AI avatar seek to address? It wouldn’t be wrong to say that we are living a borrowed life. There is so much we want to achieve in our lives. But we don’t have much time to do all the stuff. Everyone wants their contribution to the society to be remembered forever. With the Memoir in the marketplace, you can get your avatar to learn and keep everything about you. You can teach it to become like you and store useful information about you. There are people unsatisfied with their jobs, whereas the others spend time trying to earn their bread and butter. This state of their mind makes their lives boring and unsatisfying. This makes people forget the fun and stop living. The only important thing becomes work. You have an opportunity to stop all that. Simply train your avatar with the necessary skill so it can start earning for you. This way, you can enjoy a life of earning without having to strain, and your loved ones can benefit more. As artificial intelligence and blockchain continue to change the world, EverLife.AI might become a solution to most of the human problems. It is the true definition of a fulfilling life in the stressful modern world.